The highest CD rates for this month of July goes to Bank of Internet USA with a 1-year CD rate of 1.33%. This rate is higher than the usual contenders, Ally Bank and Aurora Bank. Following closely at second is AloStar Bank of Commerce with a CD rate of 1.270%. This rate is compounded daily with a $1,000 minimum deposit. Coming at third is E-LOAN with a rate of 1.26% and a minimum deposit of $10,000. Bank of Internet USA gives a competitive rate plus a daily compounding feature which gives your money the best potential for growth. Also, the minimum deposit is only $1,000. Other rates from Bank of Internet is their 3 month CD at 0.350%, 6 month CD at 1.150%, 24 month CD at 1.50%, 36 month CD at 1.860%, 48 month CD at 2.110%, and 60 month CD at 2.490%. Other features of this account includes free electronic transfer of interest, auto renewal within a 10 day grace period, available living trust account ownerships and FDIC Insurance. The bank’s name is exactly what it represents. 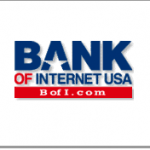 Bank of Internet USA offers the usual banking experience entirely through the comfort of your home and your computer. In this way, Bank of Internet has lower transaction costs, allowing them to give back to their clients with higher interest rates. Bank of Internet USA is FDIC insured meaning depositors with amounts of $250,000 and less can sleep easy without fear of losing their money if ever the bank gets into trouble and closes. With headquarters in San Diego, California Bank of Internet USA has been in service for 12 years, starting their business in 1999. Some general things to remember about CD accounts though is that each term serves as a lock in period. Whenever you feel the need to withdraw your money before the term is up, you could be charged with penalties and fees. Also, auto renewal can get you an extra term you don’t really want to have. Penalties for early withdrawal are not stated in the Bank of Internet website. This information could be obtained by calling customer support.